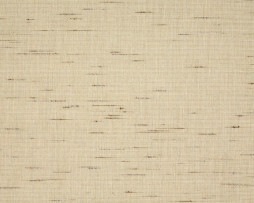 A new fabric in the Sunbrella line of furniture fabrics. Frequency is an attractive fabric. The face of the fabric has a random slub that gives it a sophistication. 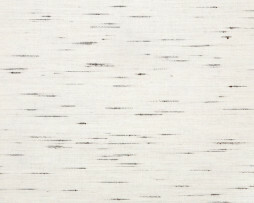 Perfect for outdoor drapes, curtains, tablecloths and cushions. 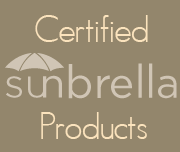 Sunbrella Frequency Sand 56094 – Frequency has a heavy slub woven into the face. The slub is often includes a darker yard. This color has beige or sand background [ the natural color of the yarn] with the slub that has a brown thread under sand yarn. Please order a swatch to experience the fabric. 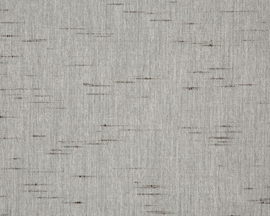 Sunbrella Frequency Ash 56092 – Frequency has a heavy slub woven into the face. The slub is often includes a darker yard. 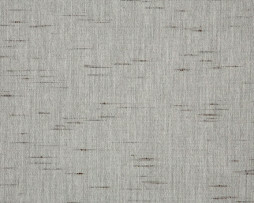 Very attractive fabric in a medium grey shade. Please order a swatch to experience the fabric.